How will governments react to the potential for more embarrassing revelations in the future from Wikileaks and likeminded websites? They will obviously grow more circumspect, and will probably place greater restrictions on access to diplomatic and security related documents. It's mind-boggling that 3 million people in the United States had access to the cables now being published in dribs and drabs by Wikileaks. I believe governments might also begin to insert convenient fictions into such communications. People tend to believe that everything released through Wikileaks reflects truth on the ground, but that's far from the case. A cable from a diplomat in Cuba stated, for example, that Michael Moore's Sicko was banned in Castro country, while the documentary was in fact shown on Cuban national television. 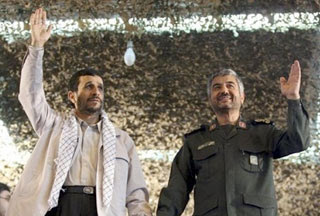 Now we get news of President Mahmoud Ahmadinejad being slapped by Mohammad Ali Jafari, commander-in-chief of Iran's Revolutionary Guard. This incident might well have actually happened, but it's also one of the cables whose publication the US will not regret. It's possible the message, which came out of Baku, was based on embellished information. After the Iraq WMD fiasco we know how dissidents tend to tell the CIA what US politicians want to hear. The question then arises: If diplomats can lie or pass on dubious details in official cables, what's to stop US intelligence from going further and seeding data banks with misinformation in case of further leaks? Muddying those waters will create a new barrier to transparency in government functioning. Oh yes, there's nothing they can do for the cables already leaked; I was thinking about the future.